Once again, life has kept me from writing, something which I genuinely enjoy doing, but always seem to cut back on as soon as I get busy. And boy have I been busy the last several months. In August, I took a much-needed vacation with my family down to sunny Orlando, Florida to check out the Wizarding World of Harry Potter at Universal Studios Islands of Adventure (Phew! That’s a mouthful.). As an intense Potter fan, I cried with joy as I stepped inside Hogsmeade Village and spotted the Hogwarts Castle looming in the distance. I went within the first six weeks of the park’s official opening, so it was packed with visitors (lots especially from the U.K.), but I still enjoyed myself greatly. I’ll post a full review of the park at another date, but I can tell you that I pretty much never wanted to leave. It is a truly magical place, and I am so pleased with the attention-to-detail and care with which Universal constructed it. The other major thing that has kept me from my electronic prose is that I recently finished up playing the lead role of Margaret Johnson in the Light in the Piazza at OCU. We started rehearsals the first weekend of school and the show ran the last weekend of September with a tour performance the first weekend of October. The whole process was so beautiful and unexpected. When I auditioned, I never expected to be cast let alone cast as Margaret, one of my dream roles. 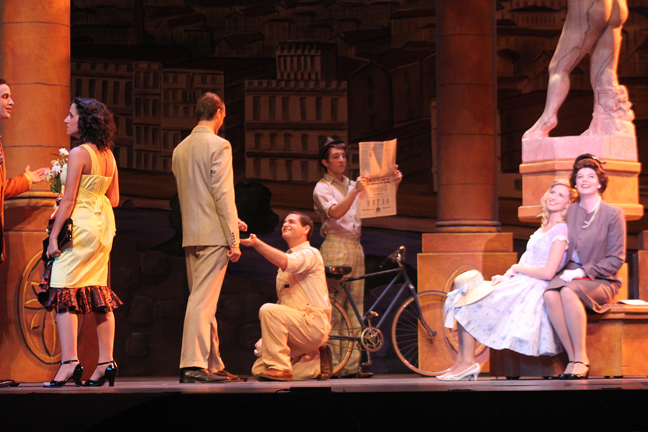 As rehearsals went along, I fell in love with the role, the show, and most of all, the cast. We became incredibly close, basically a big family. It’s a feeling I’ve never experienced working on a show, at least to the degree of intensity that it has been on Piazza. Every single person had my back the entire time and still has my back now. It is such a special show, and I know I’ll carry it in my heart every day for the rest of my life. I cannot say that about other shows I’ve been in and other casts I’ve worked with, but this one is different. To be quite honest, I think doing Piazza changed my life. It made me more confident in my abilities as an artist and certainly taught me a lot about the importance of unconditional love. I cannot thank my cast and crew (and also incredible orchestra) enough for all they did for me. I had the time of my life. I hope I get to play Margaret again when I’m a little older, because she’s a woman I so admire and love. The show originally premiered on Broadway back in 2005 starring pre-Glee Matthew Morrison, OCU alumna Kelli O’Hara, and Tony Award-winner Victoria Clark. If you’ve never heard of it, please do yourself a favor and check it out. It is a lovely, romantic, heartfelt musical that I consider one of the best of this past decade (obviously I’m biased, but it is SO much better than something like Legally Blonde or Tarzan). I solemnly swear to be a better blogger now that life has calmed down. Hold me to that, PLEASE. hahaha. Looks beautiful there. Was it expensive? I think it’s something like $82 a day for an adult ticket but it is ABSOLUTELY worth it! The food is moderately priced but excellent. 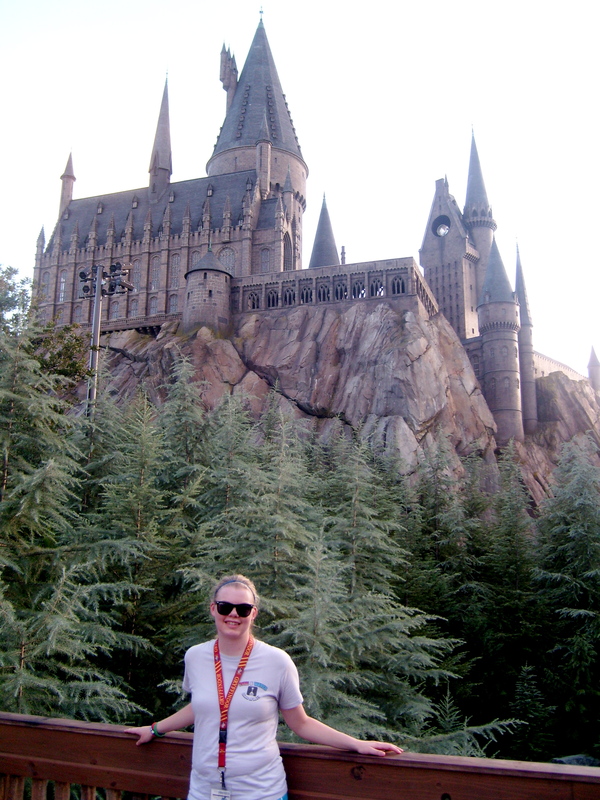 The rides are spectacular (especially the Forbidden Journey Ride inside Hogwarts). It is a wonderful, WONDERFUL place!